They are big! 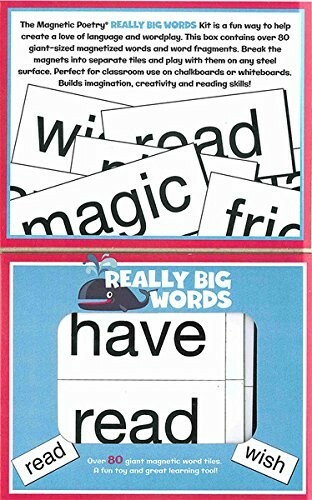 These have been seen everywhere from classroom boards to word walls in a child's playroom to vehicles, not to mention the ever popular steel fridge. 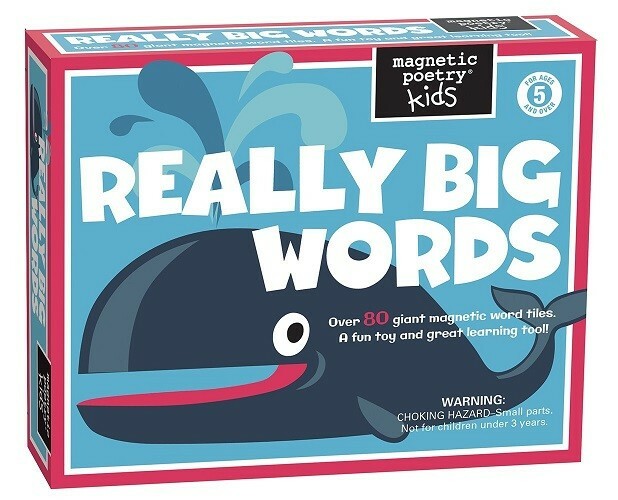 Kit includes 100 really big magnetic word tiles, packaged in an awesome metal lunchbox. 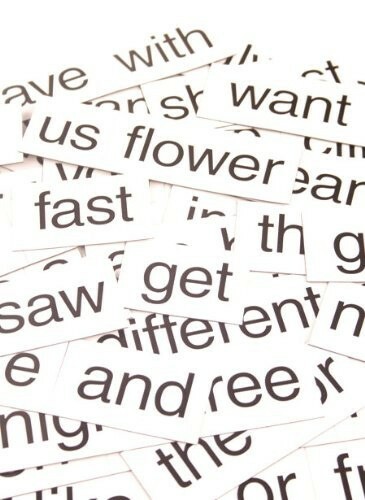 Over an inch and a half tall, these words really are really big and are perfect for little hands. 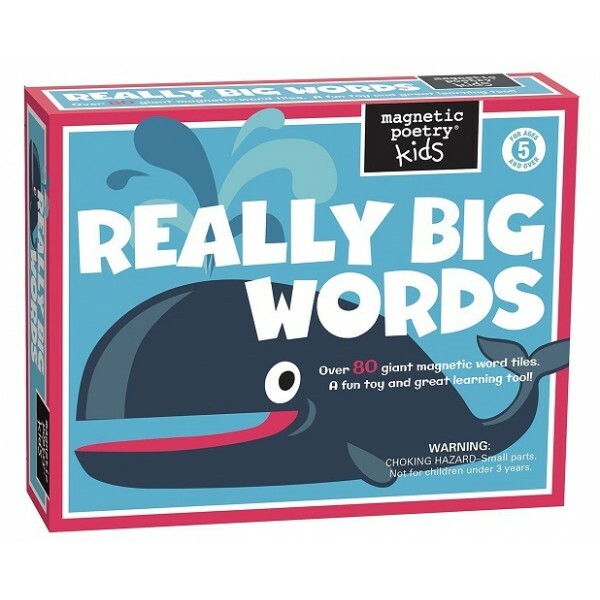 This set is a perfect learning tool for any young language learner, new reader, or aspiring poet.